Happy Monday! 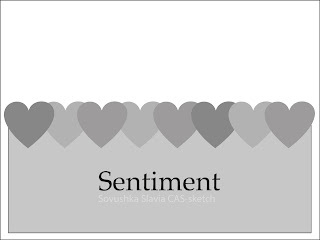 It's time for a new CAS Card Sketch challenge at Sovushka Slavia. Всем чудесного выходного понедельника! Сегодня в блоге Совушка Славия стартует новое задание по скетчу для CAS открыток. Thank you for visiting. 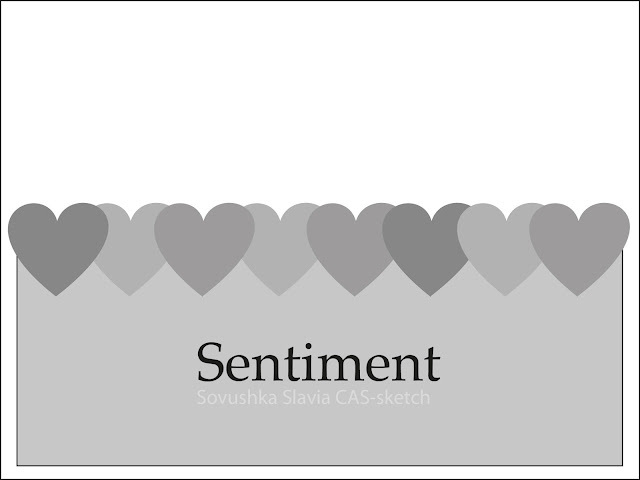 I hope you'll spare some time to visit Sovushka Slavia blog to see all the gorgeous cards by my teammates. Have a great week! Спасибо, что заглянули ко мне. Надеюсь, у вас найдется время, чтобы зайти в блог Совушки Славии и полюбоваться потрясающими работами моих коллег по Дизайн Команде! Желаю приятного продолжения выходных! 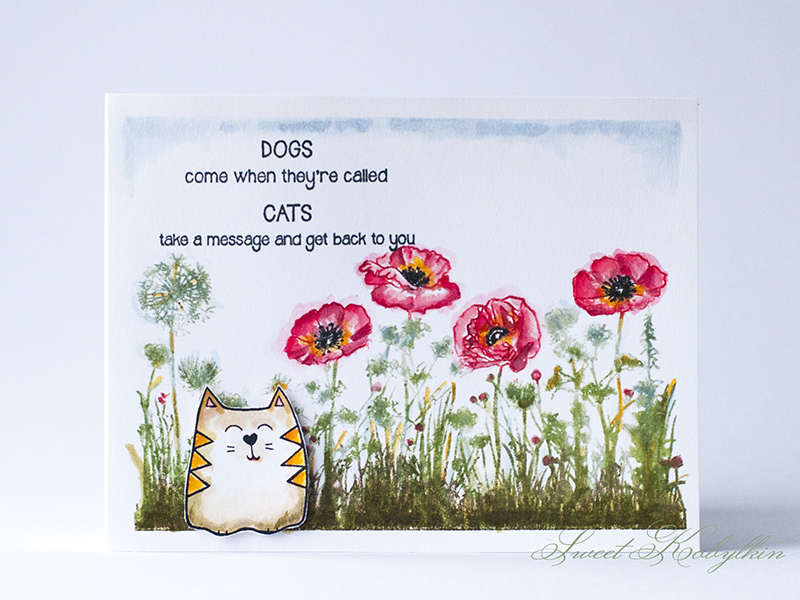 Many thanks for joining our Flower Power theme at Stamping Sensations challenge. What a cute sentiment! I really love your floral background you created! 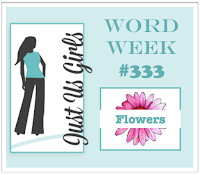 Thanks for taking the time to join us at Just Us Girls for Word Week! 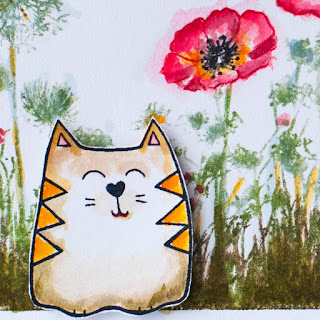 Cute card with lovely flowers, love that cat ! So cute and such a beautiful floral scene. 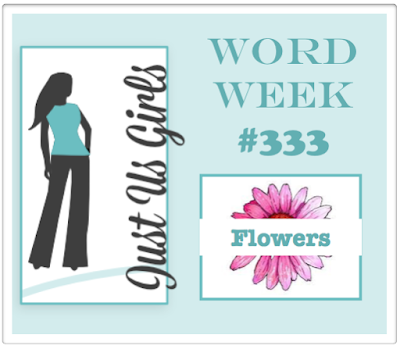 Thanks for joining us at Just Us Girls this week. Beautiful card! I love your flowers what great scenery and that little guy is so cute! Thanks so much for playing along with Just Us Girls!